The Riverside Food Co-op is not only increasing access to locally-produced foods in Riverside, California, but the organization is also bringing other entities together toward this cause. 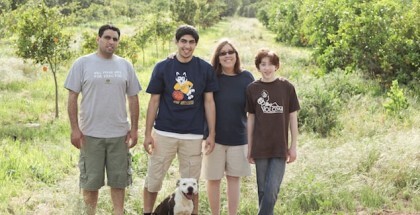 Riverside was hit hard by the Great Recession, and according to Nick Melquiades, a member of the Co-op’s CORE (Community of Outstanding and Resourceful Entrepreneurs) Team, the Riverside Food Co-op was borne from those difficult times. Formed in 2012, the Riverside Food Co-op has not fully developed, and has eventual plans to open a store. But it’s currently engaged in important work in Riverside, work which was spurred and encouraged by a Seedstock conference, Grow Riverside: Citrus and Beyond! on March 19-20, 2014. “Relationships were formed at the Grow Riverside conference,” says Melquiades. “It was a perfect time and a perfect place.” Discussions that took place at this March conference, he says, have led to broader conversations and more awareness about local agriculture in Riverside. “All of these conversations need to be integrated,” Melquiades says, and according to Diana Hyatt, a Co-op board member, this is exactly what’s happening, in large part thanks to relationships formed at the Grow Riverside conference in March 2014. 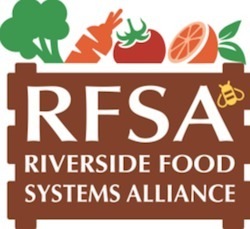 Hyatt says that different groups in Riverside with the same objective of strengthening the local food economy are coming together, and that many of these initial conversations took place at the March conference. The theme of the March Grow Riverside conference was Citrus and Beyond!, and Melquiades stresses that Riverside agriculture is much more diverse than merely citrus. For instance, eggplant, broccoli and lettuce are grown in the area. He said that despite the drought, this was a good year for lettuce. “There were beautiful lettuces this year, 18 inches wide with red leaves. 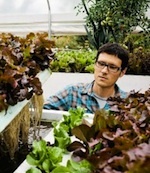 Salad tastes alive,” he says. Because of the conference, he says, people in Beaumont, a city in Riverside County, and Riverside’s Orangecrest neighborhood learned about the Co-op, and a new relationship was formed with Ontario Community Garden in nearby Ontario, California. Also due to the conference, awareness of the Co-op was raised in Riverside, he says. “People in Riverside are talking about it. The Riverside City Council is now aware,” he says. The Riverside Food Co-op has been incorporated for the past year, and although it’s still too small to operate a store, it offers Crop Boxes to members. At a cost of $27 per month, the Crop Box system is essentially a community supported agriculture (CSA) system. But unlike a traditional CSA, the Co-op is not obligated to provide food from certain growers—it has many options to choose from. The Crop Box contains seasonal fruits, vegetables and greens from Riverside area growers. Through the Crop Box system, the Co-op cultivates strong relationships with local farmers. It also uses Crop Box proceeds to raise funds for an eventual Co-op grocery. Growers in the Riverside area must work together, he says, as yields were 40 percent lower this year because of drought. Because of this resurgent agricultural awareness, Melquiades believes Riverside is rediscovering its identity. “Local agriculture is really our biggest asset,” he says. “Riverside remembers its agricultural heritage.” He contrasted this to other Southern California communities, such as Irvine in Orange County, which used to be full of lima bean groves but has lost most of its agriculture presence. 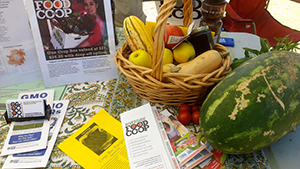 The Co-op is part of the Riverside Food Policy Council, a development program for local food efforts and collaboration, which has only met a few times so far. Through its involvement with the Riverside Food Policy Council, relationships with farmers and other organizations, and its own grocery store in the future, the Riverside Food Co-op expects to lead in improving Riverside’s economy and sustainability through agriculture.